Exclusive Development Hosts Two Successful Events in Johannesburg and Cape Town December 3, 2008 - Panama City, Panama - Boasting a world-renowned brand and luxurious location, Trump Ocean Club, the first Trump property in Latin America, recently hosted two successful events in South Africa to introduce the exclusive project to the market. Partnering with Cape Town-based Dogon Group and London-based Moyra Group, the Trump Ocean Club team delivered a compelling presentation to attendees in both Johannesburg and Cape Town which resulted in huge success with 12 units sold in only five days. 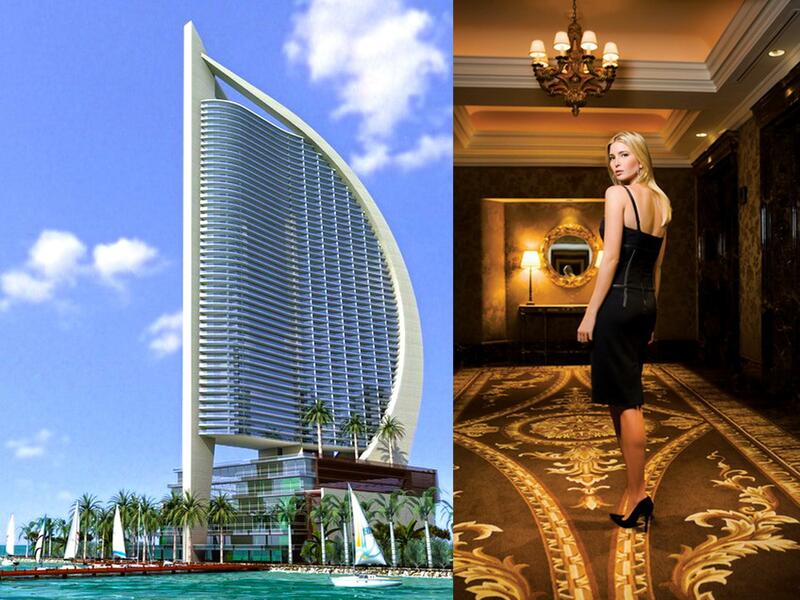 "We are very excited to introduce Trump Ocean Club to South Africa," states Ivanka Trump, Executive Vice President of Development and Acquisitions at the Trump Organization. "The Trump team has seen a lot of interest from South Africa and with buyers from all over the world, this was the most obvious market to approach next as many are discovering the benefits of the prime location that is Panama." Denise Dogon, CEO of the Dogon Group, expressed how privileged she felt to have been chosen to represent Trump Ocean Club, the first launch of a Trump development in the South African market. "On my frequent visits to New York, I always made a point of viewing the latest Trump building as these are always the most exciting developments on the planet in terms of design and all first class demands of professionalism that go with the Trump name. Trump Ocean Club in Panama has every bit of the best in design, location, casino, marina, glamour hotel condos, truly a world of its own within the larger world. Every exciting aspect of it makes one want to be a part of it," she adds. The captivated audience in Johannesburg and Cape Town had the opportunity to learn more about this one-of-a-kind property, as well as the growth of Panama in general. "The strength of the Panamanian economy combined with the well-established Trump brand is simply the formula for success," states Jack Studnicky of International Sales Group and Director of Sales for Trump Ocean Club. "In addition to the tremendous response at these events, we were even approached during a safari tour when a tourist overheard us talking about the project and wanted to learn more. He ended up buying half a floor!" In addition to the fantastic audience in Johannesburg, the Cape Town event was especially successful as more than 250 people registered to attend. "Due to the overwhelming response in Cape Town, we had to increase the number of people we had originally allotted to attend and even turned down people," adds Studnicky. The well-known Richard Livingstone of UK based London & Regional Properties attended the event to learn more about Panama and the development. London & Regional Properties recently acquired the former U.S. Howard Air Force Base in Panama City with plans to develop it into a thriving business district/mini-metropolitan. The expansive property spans over 2,750 acres and sits right on the banks of the Panama Canal. "The mere fact that both Trump and London & Regional are involved in Panama demonstrates the country's great potential," states Studnicky. "When the biggest names in real estate discover a destination like Panama, it can only be great news for those who live and do business there." Christian Brendel, a buyer from Cape Town who attended the event stated "Panama is in my eyes. It is a boomtown like Cape Town and Trump Ocean Club is ideally positioned. The building itself is stunning," said the Diplomat. Brendel was very impressed with the development, especially due to its attractiveness. "Although the Overseas Property market trend has yet to be well established in South Africa, we really had a great turn out at the events because Trump Ocean Club is a very attractive project with great value that no smart buyer can resist," states Nara Manjate, Managing Director of Moyra Group whom Trump Ocean Club has partnered with in the UK. "The Moyra Group only selects the best developments in the best destinations, and Trump Ocean Club is one of those, which is why it was only logical to introduce it to the high-end South African market," she adds. Trump Ocean Club is the most successful project in Latin America and two years before completion, the project is already 80% sold and continues to maintain a brisk construction schedule. Trump Ocean Club, Punta Pacifica, Panama City Located in the hottest destination in Central America, Trump Ocean Club is a striking $400 million development located in the exclusive Punta Pacifica area of Panama City, Panama. The largest real estate investment in Latin America with 2.8 million total sq ft. and 70 stories being created as a deliberate "haven"; a place one can settle into and never leave. Maintaining a brisk construction schedule, the master plan includes: condominiums and condo-hotel units, a magnificent wellness spa, an oversized infinity pool & deck, private island beach club, upscale boutiques and shops, exclusive office lofts, an elite hotel sky lobby, a state-of-the-art business center, concierge service, valet parking, and bellmen.